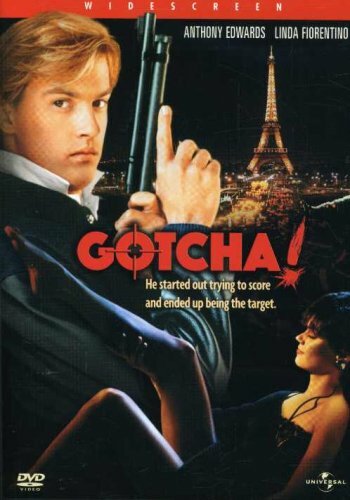 My last movie review post received an unusual number of requests; not for a movie upload but for the soundtrack of Gotcha - the 1985 teen action adventure starring Anthony Edwards and Linda Fiorentino. I was not at all surprised, they ought to. Featuring hit music from the 80's like the Bronski Beat, Nik Kershaw, Joan Jett and Frankie Goes To Hollywood, the soundtrack's no.1 hit was the title track by Theresa Bazar. Finding this from my collection was a pain though, my vintage hard disk wont boot and if it did, it wont let me search. Anyway, I hope it was worth the effort. Go ahead, download and let the nostalgia floor you.. This is a limited time promotion. If you like this, please buy the Original Gotcha Soundtrack at http://www.itunes.com/, http://www.amazon.com/ and your nearest music retailer. thnak you so much..appreciate the effort.